Anne, the lovely blogger of Imprisoned in my Bones tagged me for this new meme. "Assuming you are a saint, and your cause has been executed, your miracles confirmed, your date on the calendar established, all that is required is to select that of which Holy Mother Church will name you Patron (ess) of. and then tag 5 other people who would like to play along. Linking your answer to your nominator's post would make it easier to get your answers." Anne actually informed me of this tag a few days ago. At first I thought I could not possibly play along because my canonization is far beyond the stretch of the imagination! But this morning right before Mass I started thinking about it. I am not sure why. It occurred to me that the choice was fairly obvious...I would be the patroness of animals!! I think everyone pretty much is aware of my love of all animals. So that is what I would like to be. Good post! 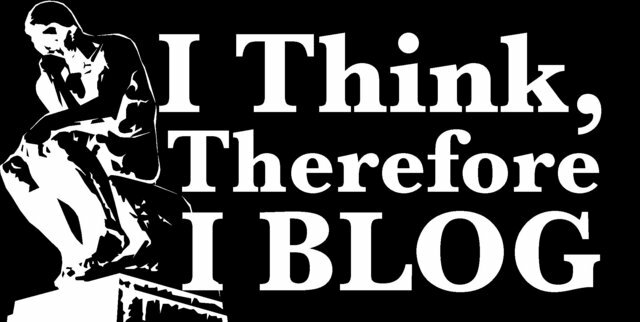 Does a Parish Priest have time to blog? Friend of a very popular saint, St. Francis of Assisi. 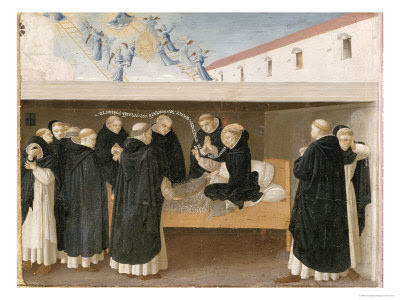 and established the "Poor Clares." present in the sacrament of the Altar. 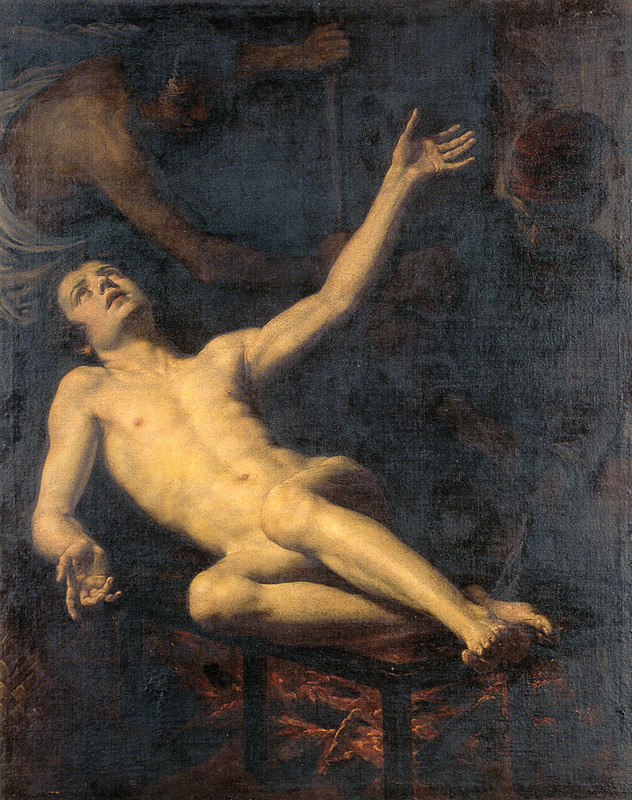 of Christ's sacrifice on the Cross? and draw away from falsehood and evil. St. John Marie Vianney and St. Damien of Molokai both had big devotion to this little saint. the Most Holy Trinity to set thee. I entreat thee to intercede for me with God. Above all, assist me at the hour of my death. Amen. St. Philomena, powerful with God- Pray for us. 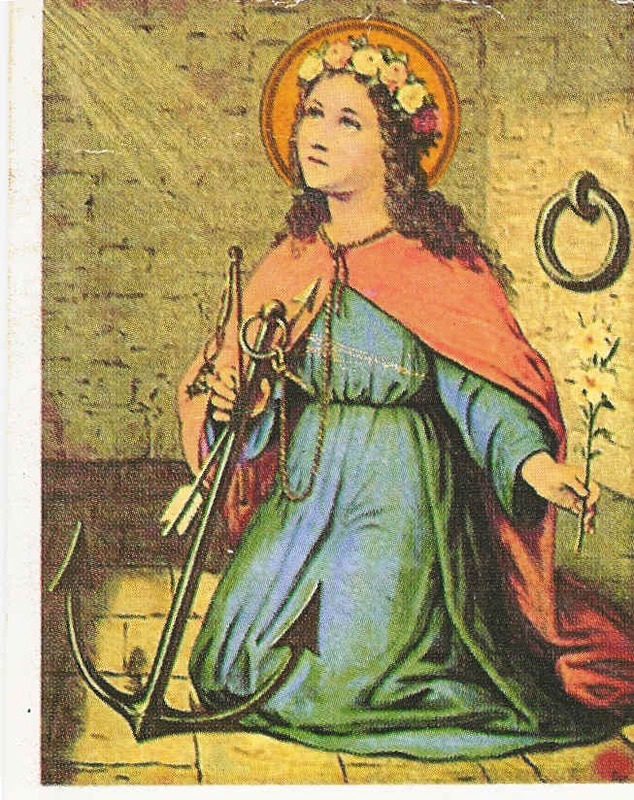 Saint Philomena - Powerful with God by Sister Marie Helen Mohr, S.C. The musical Pelican – Into Thy Hands is to be performed once again at the World Youth Day 2011 in Madrid. The performance will be presented by a group of young Polish actors between 15 and 19 August at the Teatro Bellas Artes in Madrid. A total of nine performances are planned. This musical, about the martyrs of the 20th century, was first performed at the World Youth Day in Cologne, Germany in 2005. Other performances followed in the Netherlands, Poland, Lithuania and Rome. 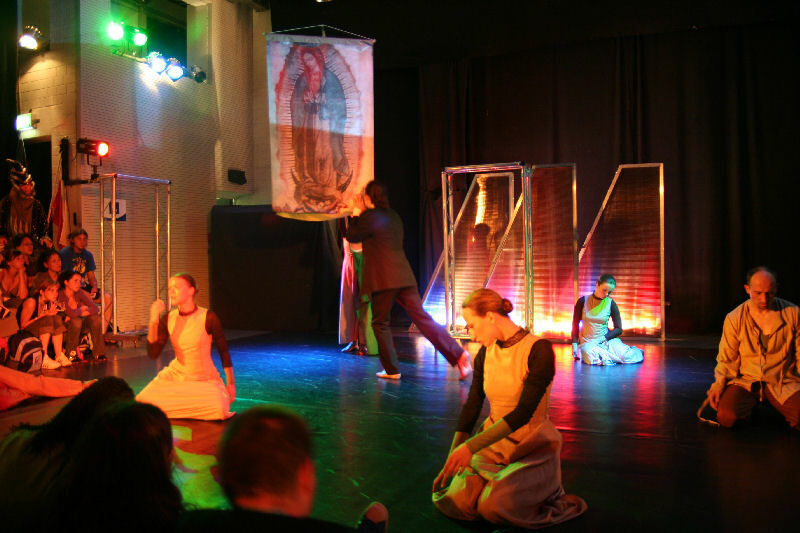 The present stage performance, presented by the internationally renowned Polish choreographer Henryk Konwinski, is based on a concept devised by Father Joaquin Alliende, President of international Catholic pastoral charity Aid to the Church in Need (ACN). Set to contemporary music and incorporating dynamic dance scenes and choreography, Konwinski’s setting presents the lives of a handful of people who were willing to die for their faith in God. Among the lives the young performers of the Polish performance group “Theater A” from the town of Gliwice, not far from Kraków, will present is that of the young German seminarian Karl Leisner, who was ordained to the priesthood in 1944 while a prisoner in Dachau concentration camp. He died just a few months later, as a result of the inhuman conditions of his imprisonment. Also presented will be the life of the young Italian doctor Gianna Beretta Molla, who gave her life in order to bring her baby daughter into the world. Other scenes portray moments from the life of the Spanish chemist Francisco Castello, who was murdered during the Spanish Civil War, and of the Polish priest Jerzy Popieluszko, who was murdered by the Communist secret police. The lives of the murdered Archbishop Oscar Arnulfo Romero of San Salvador and the fate of a group of seminarians in Buta, Burundi, who were likewise murdered, will also be featured. The musical interweaves historical photographs and film footage with the choreography. The title of the musical refers to the ancient legend of the pelican, who pecks her own breast in order to feed her chicks with her blood, saving them from a certain death. Christian symbolism took this to represent Jesus Christ, who shed his own blood for the salvation of the world. With poster image and scene from the musical. 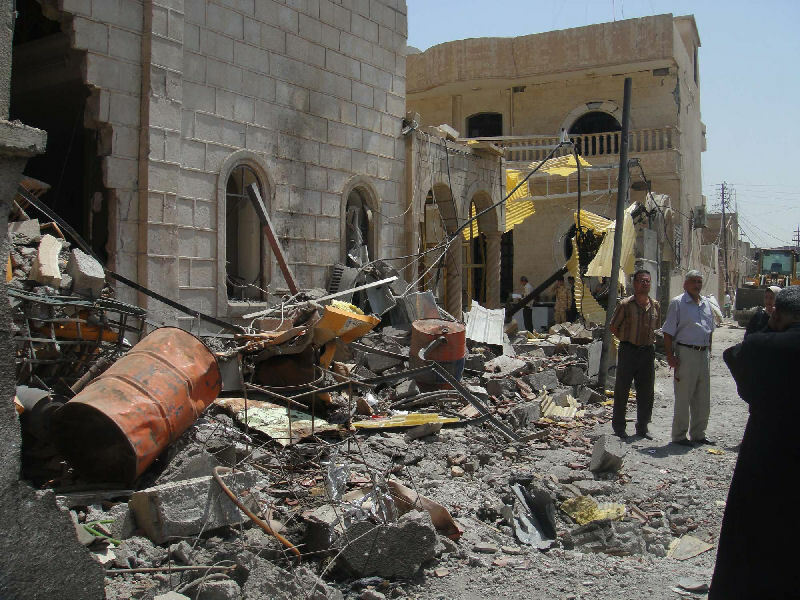 A senior bishop in Iraq has demanded that the provincial government provide increased security for the region’s Christians following another attack on a church last week. Speaking to Catholic charity Aid to the Church in Need (ACN), Syrian Catholic Archbishop Yohanna Petros Mouche of Kirkuk called on politicians to guarantee better protection. According to the archbishop, the terrorist car-bomb attack on Kirkuk’s Holy Family Church was only possible because of inadequate security in the province. The archbishop said the responsibility lay with political leaders who were more concerned with their own status than the concerns of ordinary citizens. He called on Iraqi political and religious leaders to take a firm stand against the recent violence. 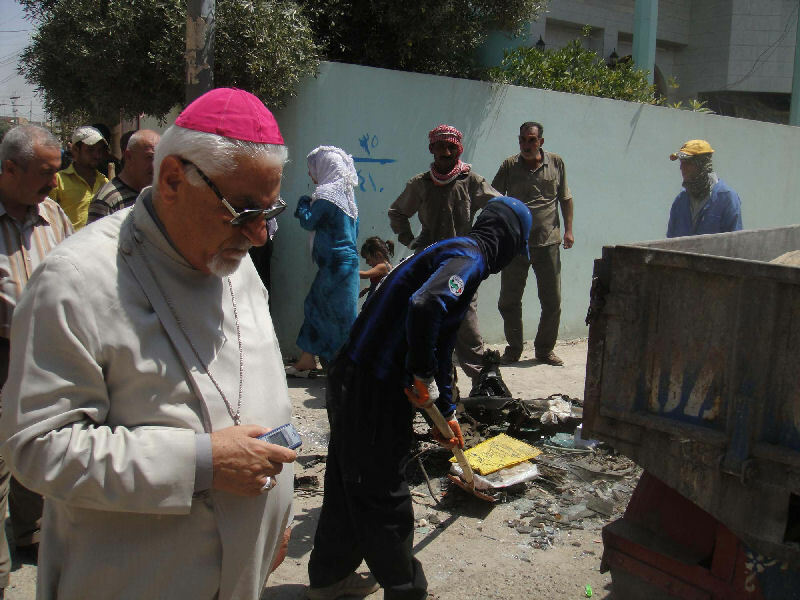 The archbishop went on to say how this latest attack would not cause the Christian community to give up hope. 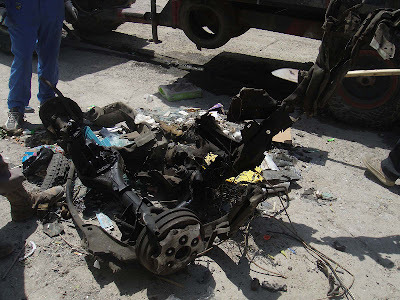 The car bomb exploded outside the Syrian-Catholic Church of the Holy Family in the city center of Kirkuk on August 2nd, injuring up to 23 people. The explosion was so severe that people asleep in nearby homes were injured by falling glass and other debris. Aid to the Church in Need has prioritized help for Iraq providing help for Sisters and seminarians and Mass stipends as well as aid for refugees and displaced people. 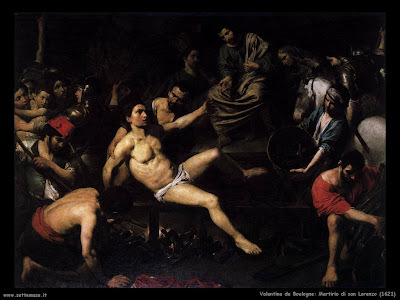 It seems that everyone is familiar with the grim humor shown by our saint while he was on the grill. According to a book I am reading, that was not the rest of the story. 'Let my body now be turned; one side is broiled enough.' Then he added the phrase we seldom hear: 'Eat now, for it is well done.'" Deacon Bob Ellis, the National Coordinator for the World Apostolate of Fatima, Our Lady's Blue Army, will be Fr. Mitch Pacwa's guest on EWTN Live tomorrow Wednesday August 10th at 8:00 pm Eastern 5:00pm Pacific. Check your local listings, record it, watch it and pass the word! 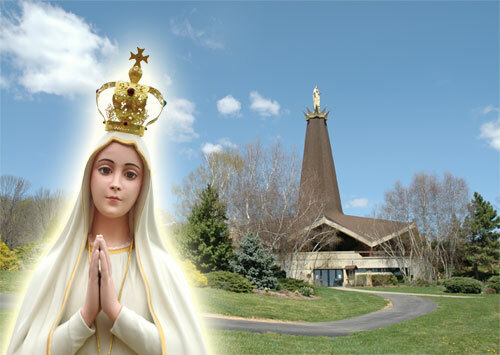 Learn, Live and Spread Our Lady of Fatima's Message of Hope to a World in Great Need! The World Apostolate of Fatima is an Association of Pontifical Right present in over 100 countries. It is the only organization given Ecclesiastical Authority to speak on the Message of Fatima and the mission by the Catholic Church to help people, Learn, Live, and Spread Our Lady of Fatima's Message of Hope. Visit www.wafusa.org for more information. 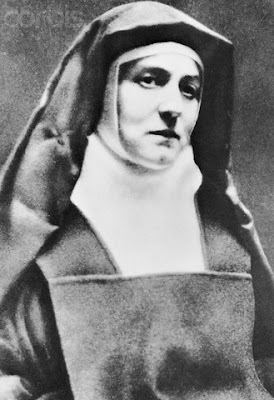 For more information about "Fatima Prayer Everywhere,"
Today is the feast of Saint Teresa Benedicta of the Cross, formerly Edith Stein, a Jewish convert. 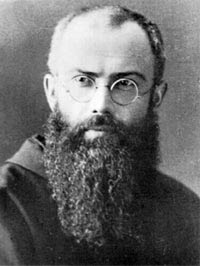 This Sunday is the feast of another martyr who died at the hands of the Nazis, St. Maximilian Kolbe, formerly Raymond Kolbe. One saint's search for the truth led her from the life of a secular Jew, to atheist to Catholic nun and finally to being canonized a saint. The other saint knew the truth from a very early age. 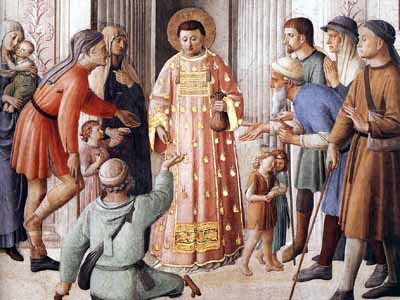 In fact in a vision, when the Immaculata presented him with the choice of either virgin or martyr, chose both. 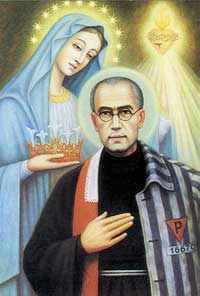 These two saints loved God and His most holy mother with their whole hearts, especially St. Maximilian Kolbe. His love for the Immaculata is still evident today with the many members of the Militia Immaculata. 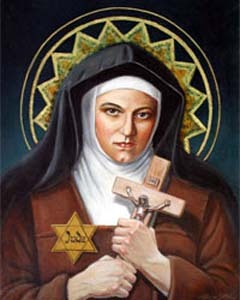 Edith Stein was an intellectual. She was a philosopher who could call many famous intellectuals in Germany, friends. It was her love of philosophy that ultimately lead her home to the true Church. It is very tragic that this nun and priest had to have their lives taken so cruelly and maliciously and so prematurely by evil men. The following document is from the Netherlands Red Cross. The, above named person is to be considered as having died on 9 August, 1942* in Auschwitz. *For official purposes this date of death was established as deduced from various available facts. Individual statements regarding the exact time of death are not available. "Thus two weeks passed..." (fellow Pole Bruno Borgowiec's personal testimony.)... "Meanwhile, the prisoners died one after the other, so much so that at the end of the third week only four remained, among whom was Father Kolbe. To the authorities it seemed that they lived on too long. The cell was needed for other victims. For this reason, on August 14, the criminal Bloch, a German and the director of the hall of the sick, was brought in. He gave everyone an injection of poisonous acid in the left arm. With a prayer on his lips, Father Kolbe held out his arm to the killer. Being unable to stand what my eyes beheld, under the pretext of having to work in the office, I went away. After the guard and the executioner left, I returned to the cell, where I found Father Maximilian Kolbe sitting down, leaning against the wall, with eyes opened and his head bent to the left side. (It was his usual position.) His serene face was beautifully radiant. Together with the barber of the block, Mr. Chelbik from Karwina, I took the body of the hero to the bath. Here it was placed in a box and taken to the mortuary cell of the prison. Thus died the priest, the hero of the camp of Auschwitz, offering himself voluntarily for the father of a family, quiet and tranquil, praying until the last moment. Source: Saint Maximilian Kolbe: Apostle of Our Difficutl Age, Antonio Ricciardi, OFM Conv. Father Kolbe died on the vigil of the Feast of the Assumption of Mary into Heaven. How appropriate! proclaiming: "Give glory to God in the highest."